Will a new industry emerge, now that Gmail automatically organises your e-mails in tabs for all users? 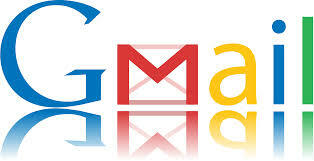 Will Gmail Filter Optimization come next after Search Engine Optimization? Here are a few free tips to help you optimize your mailings. Google will from now on filter e-mails for Gmail and deliver all the commercial messages in the “Promotions” tab. This is not a disaster for your marketing e-mails. Google has the best intentions: it wants to prevent your e-mails from ending up in the “Spam” folder. Google is indeed very rigid: either a message is spam, or it is not. Spam ends up in the Spam folder and the rest is delivered in the Inbox. In the Inbox, Google recently created tabs that users can remove or supplement with custom tabs. The standard tabs are Primary, Social, Promotions, Updates and Forums. Within the Inbox, users can move e-mails to other tabs. They can also report a message that made an unwanted landing in the spam tab and indicate that it is not spam. Google expects users to make the necessary corrections so the search giant can learn from them and, after a while, automatically know which mails go in which tab. But is this not too much to ask from users? Better than counting on them, you can optimize your messages so they do not end up in the spam folder, but rather in the correct tab in the Inbox. A few rules of thumb can help. Do you send different types of e-mails, like promotions, transaction confirmations and updates from the social network? Then use multiple sender e-mail addresses. Let us take the example of an online bookstore that also includes a social network where users can follow each other to receive suggestions of books to read. This business should thus use one address when sending out a general promotional mailing for a special discount (e.g. discounts@abcbooks.be), another, separate address to confirm an order and provide info on shipping (orders@abcbooks.be) and yet another address for messages about friends who recommend books (updates@abcbooks.be). Google even advises to use different domains and/or IP addresses for every function. In any case, avoid mixing different types of content in the same mailing. Including a promotion in a purchase confirmation may cause the message to end up in the promotions tab. In order for the e-mails to be delivered in the correct tabs, Google has to know who the sender is. It is important that your mailings for a certain category always originate from the same IP address and that you always use the same address in the “From” header of your bulk mailings. Make sure that the reverse DNS record for the IP address is valid and points to your domain. Another factor that determines whether your e-mail is spam or not is the method used for subscribing to the newsletter. Users who receive your mailings need to have explicitly chosen to do so (opt in). Generally, this is done by ticking a box in a web form. Make sure you check if the address of a new subscriber is valid by sending a confirmation e-mail first. Do not add the address to your mailing list before you actually got a confirmation from the user. Try not to purchase bulk e-mail addresses from third parties. And when you use a web form to allow the subscriber to opt in, do not automatically tick the box for subscribing to the mailing list. The way you respond to a subscription cancellation request also contributes to Gmail’s assessment. Gmail does place an obvious “Unsubscribe” button in all the e-mails that are delivered into the Promotions tab. But this does not release you from the obligation to offer the opportunity to the user to unsubscribe from your mailing list. To do so, you can use a mailing list manager, where all the user needs to do is click the Reply button and then mention “unsubscribe” in the subject line of the message. The mailing list software should then automatically remove the subscriber’s address. However, we do not recommend this method. Many users indeed have their messages forwarded to Gmail from another address. If they use the Reply button, only the Gmail address is included in the ‘Reply to’ field, and not the original address; the automatic cancellation of the subscription can therefore not take place, which may annoy the user. That is why it is better for your mailing to use a link to a web form in which the e-mail address of the subscriber is already filled in by means of a script, so that he only has to hit the “confirm” button. We also recommend that you include a message in your newsletter like “You have subscribed to this newsletter with the address xyz@provider.be. If you wish to unsubscribe, please click here”. In order to prevent your e-mails from being considered as spam by the Gmail filters, it is also advisable to keep your address list as clean as possible. It is best to remove from your mailing list all addresses where your mailing bounced 3 or 4 times. Google also advises to regularly send a message to your subscribers in which you mention your mailings lists to which they have subscribed, and offer them the opportunity to unsubscribe from lists that no longer interest them. These few simple rules are mostly just common sense. And they are also fair to your subscribers. So why wouldn’t you apply them – especially if they can help your messages to really reach your subscribers? By the way, for sending large mailings, you can count on Combell’s SMTP Relay service. Do you have 3 billion dollars lying around for Cars.com?